▶ SoldThis listing was sold on Sep 27, 2017 for the price shown here. 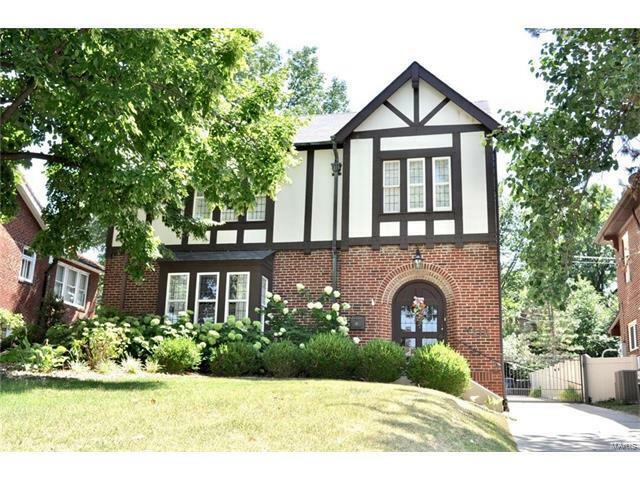 Spectacular brick Tudor boasting countless original architectural features and details. This beautiful residence greets with gorgeous original solid wood and leaded glass doors that open into a large entry foyer with arched doorways, and original leaded glass casement windows. The living room with wood-burning fireplace and a bay window with more leaded glass, is the center focal point of the home. The dining room opens onto a lovely screened porch through original French doors. The eat-in kitchen looks over the large, beautifully landscaped yard and opens onto a spacious deck. The 2nd floor has four large bedrooms, one with leaded French doors that open to an outdoor porch. The lovely yard contains raised beds, and terraced gardens, all surrounded by a privacy fence with gated drive, and a detached two-car garage, newer concrete driveway and parking pad. Big Bend to west on Maryland. Home on the south side of the street.